One of the biggest problems with traditional chicken coops is that they are always stuck in the same spaces. Chickens are often at risk of being harmed by predators in these spots and the vegetation around a coop can wear out over time. This is where a chicken tractor can come in handy. A chicken tractor is a coop built on wheels so that it can be pushed all around an open yard. It moves your chickens around and keeps your vegetation from being at risk of fatigue or extreme damage. • It uses a wooden or metallic base with a series of chain fence walls. There is no floored surface on it. • A series of wheels are pointed on one end of the tractor. • A small door may be included at the side of one end. This allows you to get the chickens to move into the tractor. You can also place feed bins and other items into it if needed. • A tractor can come with a solid ceiling or a fence-based surface. • You can add a nesting area to your chicken tractor as well. This allows you to add a space for your chickens to rest or to handle their eggs if possible. A chicken tractor can be used by simply getting your chickens added into the space. First, you will have to get your chickens secured in a spot so they will not be hurt by the tractor being placed somewhere. You can then move your tractor to any spot in your yard that you see fit. You’ll have to use a regular rotation of different spots. After you plant your tractor in a spot, you can load the chickens and other things for inside the tractor into it. This is a very easy to handle process that only takes a few bits each day. You would have to be careful with any eggs or nests in your tractor. Fortunately, you can easily clear the tractor out of the way before moving the nest or egg. What Makes a Chicken Tractor Great? • As you move the tractor around each day, you will give your chickens a fresh spot of vegetation to feed off of. • This can help with controlling pests in some parts of your yard. 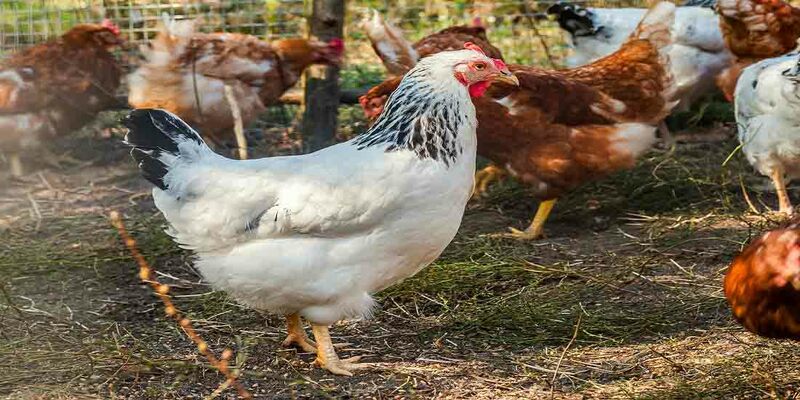 Chicken often eat weed tips, bugs, and other pests for nourishment which can reduce the pest population in your property. • By having your chickens in more spots, you can get them to leave behind more manure. This provides your yard with more nitrogen and phosphorous to keep it healthy. • You can also get the chickens moved out of spaces where predators might be. You can move it around depending on how predators try and show up in a spot. Here is a Youtube video of Geoff Lawtons’ Chicken Tractor On SteroidsYou will be amazed at how well a chicken tractor can work in your homesteading plans. This is an ideal way to take good care of your chickens which isn’t hard to manage.